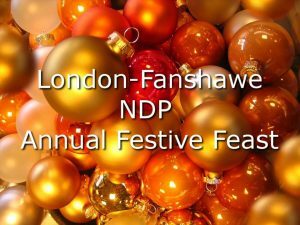 Please join the London Fanshawe NDP for our annual traditional turkey festive dinner. Tickets are $35 each ($20 for children – must be purchased separately). Tickets will not be sold at the event, they must be purchased by December 12th. If you would like further details or you require a child’s or a vegetarian meal, please contact us at 519-451-0099 or email ndp.fanshawe@gmail.com.